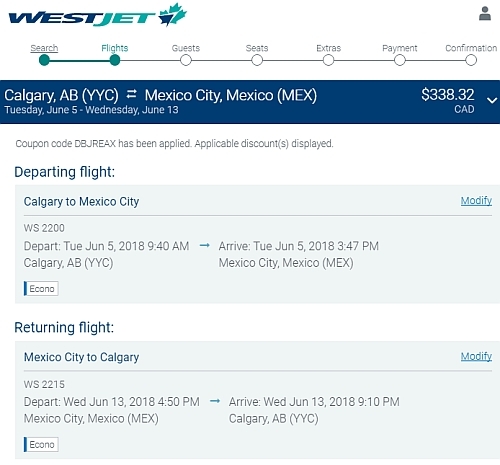 WestJet has dropped the price of their May and June 2018 flights from Calgary to Mexico City down to $338 CAD roundtrip including taxes. The WestJet promo code that brings this price down to $338 roundtrip is valid until tonight (March 15) at 9:59 PM MST. Click on the departure date box and browse for cheap date combinations. Look for the dates that are $379 roundtrip. 2. Go to the WestJet promo code page and click on the 'Book Now' button. 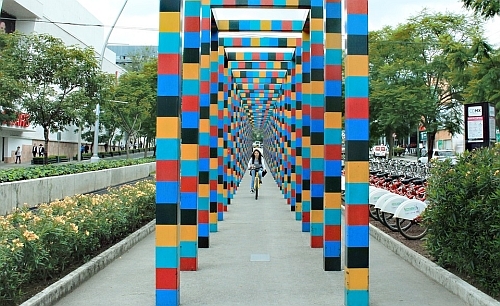 calgary, yyc, flight deals, westjet, mexico, mexico city, mex and north america.